RNLI Music And Hi-Fi Evening - A Big Thank You! 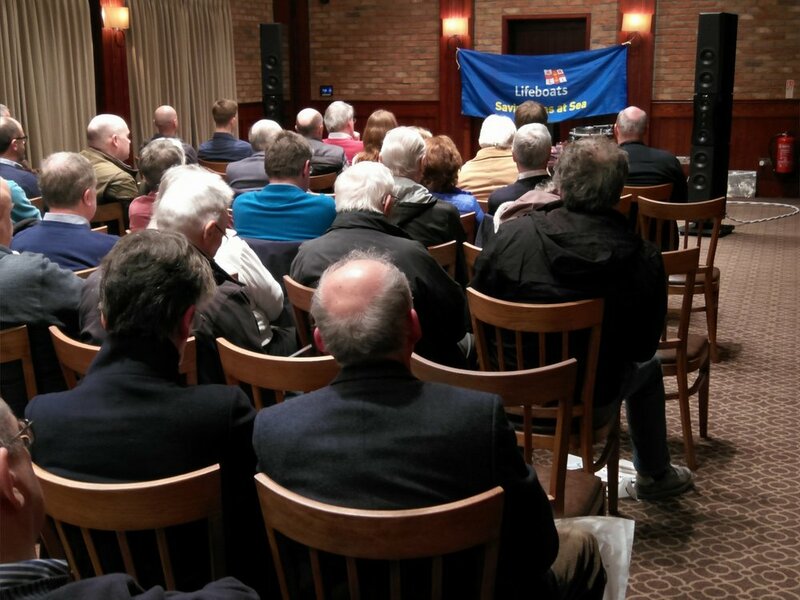 A big thank you to all who attended the RNLI Hi-Fi and Music Evening at The White Horse Hotel, Romsey on 28th February. We are delighted to report that the evening was very well attended and a great success, raising over £1300 for the RNLI from ticket sales and the raffle. Many thanks to all from Naim Audio, Dynaudio and The Chord Company for their enthusiastic support of this event, and to The White Horse for generously providing such a superb venue to showcase a stunning hi-fi system. It would have been impossible to set up this system in the limited time available without the skill (and muscle!) of all involved. The Dynaudio Evidence Platinum speakers are over 6 feet tall and weigh nearly 150kg each! Naim's Statement amplification is no lightweight either! The multiple lengths of all ChordMusic cable variants was a significant contribution to the great sound, not to mention the £250,000 system value! Thanks for all the positive feedback since the event. It was always going to be an impossible task to cater for everyone's musical tastes but we hope we were able to give a flavour of what is possible with such an aspirational system, truly bringing music to life with realism and scale. Nearly £500 was raised from the raffle, mainly due to the high quality of the prizes generously donated by Naim, Dynaudio and Chord. Congratulations to the lucky winners of a Naim Mu-so QB, Dynaudio Xeo 2 and Chord Shawline especially! "Thank you for the excellent demo on 28th Feb. It was the best set up I have heard and it was good of you both to give up your time - the contributions from Dynaudio , Chord and Naim were much appreciated". We've been busy creating a new look at Audio T Preston. We hope customers old and new like the new record decor! By far, our most popular products at the moment would have to be the turntables, so we wanted to create a display to show off the range we keep. We also wanted to have a great sounding Hi-Fi stereo system to show off what's possible, and by partnering the Naim Audio & KEF Reference together we have definitely achieved that. With just a little help from Ike ....who knows his stuff! The Naim NAC-N 272 is a state of the art streaming pre-amplifier, which has features such as Spotify, Tidal, UPNP, Internet radio and Bluetooth all built in as standard for all your streaming needs as well as the conventional analogue and digital inputs for connecting other devices to it. This Naim NAC-N 272 pre-amplifier can also be controlled by the remote control supplied but, for ultimate control you can download the free Naim control app for sit down palm of your hand convenience. We have connected this to the Naim NAP 250DR power amplifier which provides plenty of power whilst being able to deliver the level of finesse that Naim electronics is known for world wide. We then added a pair of KEF Reference 3 floorstanding speakers in the stunning copper black finish which looks fantastic and delivers a very detailed and big sound stage. A great partner for the Naim system. Finally we added the Sarum cables by The Chord Company which when connected to your Hi-Fi of any ilk lifts veils and uncovers layers of music that you didn't know was there! AURALiC Aries, Aries Mini, Polaris And Altair Streaming Products Have Arrived! The AURALiC range are highly specified streaming products supported by an outstanding control app. The sound quality that is possible and the convenience of accessing your music collection by streaming is a joy to behold. We are expecting our first delivery from AURALiC this week, and arriving very soon will be the Aries Mini Network Music Player. Aries Mini can stream high-resolution music extremely fast over WiFi signal at virtually any sampling rate, even for the latest Quad-Rate DSD and DXD. This PSU is based on AURALiC Purer‐Power™ technology with an advanced AC filter and very low noise circuit design. 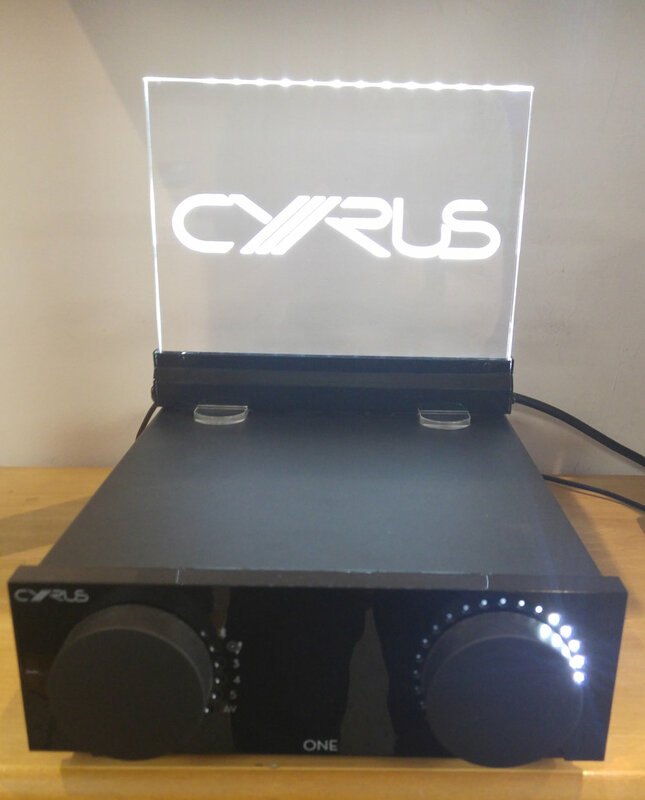 It is identical to the external power supply that comes with the AURALiC Aries High End Streaming Bridge. The AURALiC Altair is a perfect single-box music source. It combines a High-End DAC with world class wireless streaming solution. AURALiC Polaris is a wireless streamer, a music server, a DAC, a pre-amplifier and a stereo power amplifier – the ultimate solution for music lovers seeking high quality streaming from a single, compact audio component. In this month we are going to take a good look at a brilliant system made up of QUAD’s Artera play, QUAD Artera stereo and QUAD Z1 loudspeakers. We’ll look at each component separately and then give our overall thoughts on the system as a whole. The Artera play is a pre-amplifier with an in built CD-player and DAC, making it a great compact system. The Play has a strikingly unique design, certainly helping it stand out from other pre-amps in its price range. It features a touch sensitive display on the front that allows for some limited controls, although it does come with a remote which is much more convenient to use, it’s still a nice touch. Both the play and the stereo features a recessed top which means you can easily stack one upon the other and has been designed so there is no effect on the sound, both also have a lovely glass plate included in the box which can sit in this recess if nothing is sat on top of the unit. All in all this makes for eye-catching aesthetics. The Play boasts an impressive array of inputs including two RCA phono inputs, two coaxial inputs, two optical inputs and a USB-b to connect a laptop or similar device to. All the digital inputs are then fed through the ESS Sabre32 9018 chip, this is a very good choice by QUAD as it supports files up to 32-bit/384kHz as well as DSD 64/128/256 meaning the unit is well feature-proofed for high resolution digital files. To finish it off the Play features both XLR and Phono outputs which brings us on to the next part of our system. While the Play could be partnered with a large range of power amps the Artera Stereo is the natural choice. It produces an impressive 140 watts per channel RMS, more than enough to drive even fussy speakers. Indeed in the shop we have tried the Artera with a huge range of speakers from small stand mounts to large floorstanders and didn’t have any problems with any of them. The Stereo uses QUAD's famous ‘current dumping’ technology, which in basic terms comprises of two separate amplifiers, one very high quality class A low-power amp which provides the details of the signal, while a high-power current dumping section provides the grip to keep the speakers under control. This helps the amplifier produce an astonishing signal to noise ratio of 115dB, furthering the accuracy that QUAD is renowned for. The first thing that strikes you about Quads new Z series is the absolutely gorgeous design and finish. The speakers come in gloss black, gloss white or Rosewood and have a unique ‘cone’ shape that really makes them stand out from other speakers in their categories. The Z1 is a two way bookshelf speaker with a 150mm woven Kevlar bass driver and a 90x12mm ribbon tweeter. QUAD has been using ribbon tweeters for a very long time and they are very good at it. On the Z1 the ribbon really helps give a large dispersion in the sound stage, it is made from a composite of materials which really helps it be very durable and is suspended in a strong magnetic field to increase sensitivity. The Z1 has a typical frequency range for a compact bookshelf speaker of 56hz to 20Khz, a recommended amp power of 40 to 150 watts and a sensitivity of 86db. We settled into our demo room after setting the system up and sat back and enjoyed Jo Harman’s newest album People We Become on CD, playing directly from the Artera Play. ‘Enjoy’ is really the definitive word here as this system is detailed without being clinical and still offers a warmth and musicality that make the listening experience very enjoyable. The single ‘When we were young’ is a particular highlight, helped by the expansive soundstage of the QUAD system, helped by the ribbon tweeters. The guitar and background organ are easy to point out while still staying cohesive and Jo Harman’s soulful voice really sounds like she’s in the room with you. The Piano led ‘Lend me your love’ is another that stands out, the combination of the DAC in the Play and then the power in The Artera Stereo bring out all the details in the piano, pushing that sense of realism that is oh so important when it comes to piano. Yet at the same time this track feels so relaxing, as the instruments wrap around and envelop you, it helps that it has such a wide soundstage as it allows you some room in the listening position to sit back and relax. We have been very impressed with Quad’s latest outings, in both the electronics and speakers but as always don’t just listen to us, get in touch and we can set up a demonstration. Almost every Hi-Fi aficionado will know the manufacturer QUAD Electroacoustics and the old amplifier and speaker combination of 33/303 or 44/405 with the famous ESL electrostatic loudspeakers. Quad have now got what could well be a modern classic in the range, a classic brand name with a modern twist. The "Artera" range of electronics and the "Z" series loudspeakers offer a stunning performance at a reasonable price. We first heard the Artera system around a month or so ago and thought it was something we really should have available in the store, so shortly afterwards we placed our order for the demonstration pieces. It is a rare thing nowadays to have a manufacturer offer a complete system that performs to the standard that this system can offer. Often, the electronics from a manufacturer will work together but get used with a different brand of loudspeakers. It is great to be able to once again offer a complete QUAD system. The Pre-amplifier also features a DAC that can be used from external sources as you would expect from a modern digital player, featuring USB, optical and co-axial inputs. The styling and quality of finish is stunning. The ARTERA STEREO Power amplifier harks back to the looks of the old 606 and 909 power amps, sticking to the classic QUAD look with a modern design. The ARTERA STEREO is a brand new ground up design featuring QUAD's current dumping technology which in sonic terms gives the system an effortless sound even with very demanding dynamics. With the design of the case work and glass top plate it looks great when placed alongside each other or on top. We chose the QUAD Z1 series standmount loudspeakers in the stunning Piano Rosewood finish. The "Z" series feature Quad's unique sandwich formation ribbon tweeter design giving them such a smooth and tonally detailed sound it has to be heard! We have given the system a few days to run in so far, the system sounded great from brand new but after about 40hrs use it really came on song. We have thrown all sorts of music at it and have been amazed. Perhaps the most surprising thing is the quality of vocals, it is simply fabulous! I listen to a lot of folk and blues so have tried a lot of acoustic guitar based music and have been amazed at the tonality of the system - you can hear so much more tonal information of the instrument and strings it is quite different to any other system. But, going back to what I have previously said, it is an amazing performance from a one make system. Other products in the ARTERA range to follow are the "ARTERA LINK" which will be the CD player/Pre-amplifier with added Network Streamer, and the "ARTERA ONE" integrated amplifier. To celebrate our 50th Birthday, we would like to invite you to an open day on Saturday 26th November for some food, fizz and fun. We will be showcasing Naim’s flagship Statement system. The pinnacle of Naim’s engineering knowledge and artistry. The series comprises the NAC S1 preamplifier and NAP S1 mono power amplifiers. To partner such an amazing system we will be demonstrating the outstanding Dynaudio Evidence Platinum speakers. This stunning combination is quite possibly one of the greatest Hi-Fi systems available today, with a price ticket to match at a cool quarter of a million pounds! If Carlsberg did Hi-Fi systems this would be it. The event starts at noon on Saturday 26th and finishes at 5pm. We will be playing a wide selection of Hi-Res and Streamed Music and will be more than happy to take requests. Come and celebrate with us. For more information please email us at oxford@audio-t.co.uk or call us on 01865 765961. Join us on Thursday 24th Nov 12:00 - 6:00 and come and listen to some of great music, played on Cyrus electronics, connected together with Chord cables, including the new Cyrus One integrated amplifier and next evolution of Chord Co cables. 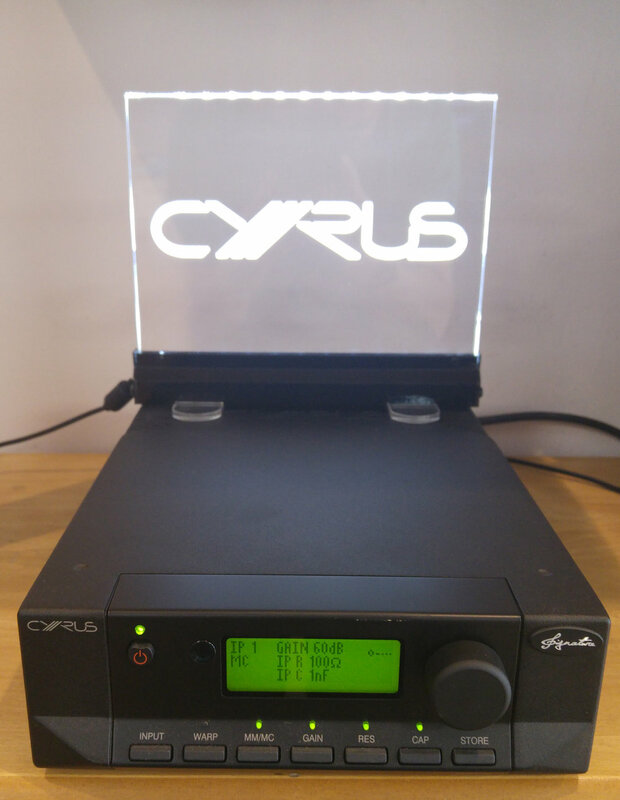 In our smaller listening room we take a closer look & listen to the new Cyrus ONE amp partnered with a Rega RP6 turntable & B&W CM6 S2 speakers. All accompanied by Chord Cables. 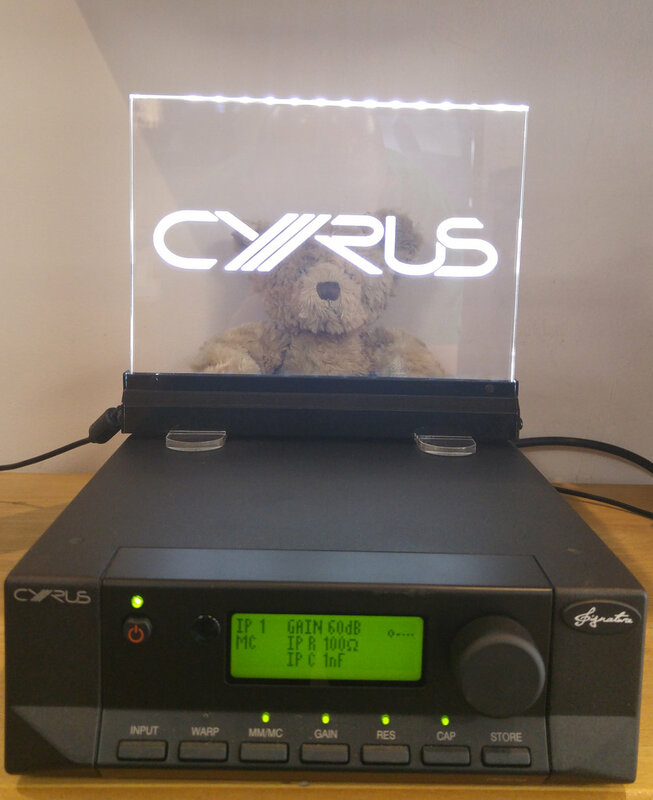 In our bigger listening room we will be running a Cyrus Pre / Power set up. The CDI CD player, PSX-R 2 power supply, Stream XA streamer , Rega RP10 turntable, Pre DAC pre amp, Stereo 200 power amp, PMC Twenty5 23 speakers. This set up will have the new C-line, Clearway, Shawline, Epic & Signature cables ranges demonstrated on it. A friendly and informal opportunity to play your music through some amazing yet affordable hi-fi gear, with special offers available for attendees on the day. Bring some of your favourite tunes and your ears. We will bring the hardware, comfy seats and refreshments. Simon, John, Claire & Mahmood. We are delighted to say that we will be hosting a launch event for the very exclusive ChordMusic range of cables on the evening of Friday 18th and all day Saturday 19th November. As if this isn't enough we will also take the opportunity to launch full range Chord Electronics, having recently taken delivery of the awesome DAVE DAC and mighty SPM1050 MkII power amplifier. Along with showcasing this stunning reference system in our demonstration room, fully wired with the ultimate ChordMusic interconnects and speaker cables, we will also be one of the very first retailers to demonstrate the new Chord TToby power amp partnered with Hugo TT DAC/pre-amp. A wide range of Chord Company cables will be available to hear on this system. We hope you can join us for a terrific opportunity to hear some awe inspiring high end electronics and cables create a truly unforgettable listening experience. Refreshments will be provided and representatives of The Chord Company and Chord Electronics will be here to answer any questions. Exclusive offers will be available only to those attending this unique event on the evening of Friday 18th or during Saturday 19th November. Blogs are usually about a piece of Hi-Fi equipment and how it stands up against its peers or the previous version of it. This time I wanted to do a blog about a system and the way it makes me feel. In our newly refurbished demonstration room at our Bristol store, we had just set up a system for a reviewer for one of the UK Hi-Fi magazines. The review was for the REL 212 sub bass system and to see how well it integrated with a pair of Kudos Titans. Looking at what had been put together and the reasoning behind the system, you soon realise that the magic doesn't just come from one bit of Hi-Fi equipment, it comes from all of the components working well together. This is not an inexpensive Hi-Fi system but thats not what this is about. If you're a music lover you invest in Hi-Fi because you love music and the feeling and enjoyment you get when it immerses you in the artist's performance when it plays. To get to that point of musical nirvana, it takes both time effort and a level of skill to set up to ensure the system is as musical as possible. The finished result after many hours of fine tuning, was a highly musical system that put a great big smile on my face and gave me chills when listening to it. So good that it made you want to keep playing one more track..... and the worries of world just drifted away. Probably one of the best sounding Hi-Fi systems I have ever listened to and in my time I have listened to quite a few. Audio T established in 1966 has 14 stores from Preston down to Brighton. All of our friendly and helpful staff are music or film enthusiasts, most of who have been working in the industry for many years. Their collective knowledge and experience of a wide variety of different Hi-Fi systems is considerable and they do know what works well together and how to set it up correctly to make sure you get the most joy from your music and film collections. We all have different ears and tastes for how we like our music to be presented, so we will always listen and proffer friendly advice, but ultimately your own ears will be the judge..